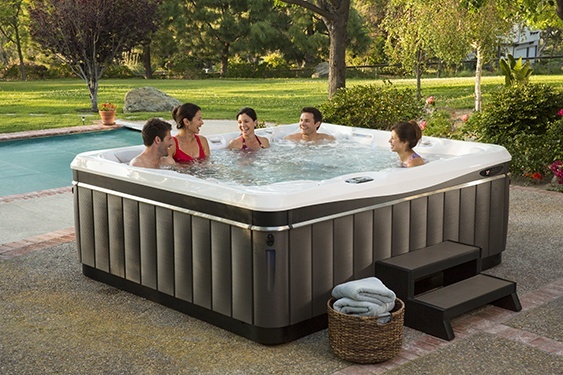 What Are The Differences Between In-Ground Hot Tubs And Portable Hot Tubs? When considering the benefits of owning a hot tub, many homeowners start by deciding whether to choose an in-ground spa or a portable hot tub. 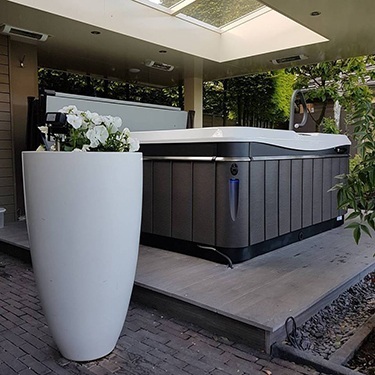 While both types of hot tubs offer health and wellness benefits, premium portable hot tubs may prove to be a better choice when evaluating placement, massage and energy use. What are the design benefits of in-ground hot tubs and portable hot tubs? Portable hot tubs can fit in a variety of settings in your yard. If you live in colder weather, a portable hot tub can be placed very close to your house. Portable hot tubs can be built into a deck or above ground, and portable hot tub equipment is built into the hot tub exterior. Portability is an advantage — you can, with some effort, take your hot tub with you when you move. If you live in colder weather, a portable hot tub can be placed very close to your house. In-ground hot tubs can be designed in different shapes and sizes, and are often attached to a pool or part of a pool setup. In-ground hot tubs can also be worked into a yard or landscape. Equipment is not built-in and is usually in a separate location and can be bulky and noisy. Portable hot tubs can fit in a variety of settings in your yard. Do portable hot tubs or In-ground hot tubs have better massage options? Portable hot tubs offer many more hot tub jets and configurations, and the jets are differently sized depending on location and hydro-massage options, and adjustable. Portable hot tubs offer multiple types of ergonomic seating options, as well as varied seating sizes to fit bodies of all sizes and types. Portable hot tubs offer multiple types of ergonomic seating options, as well as varied seating sizes to fit bodies of all sizes and types. In-ground jets are usually one size with bench seating that is not as conducive to hydro-massage. Sometimes, it can be a challenge to align your body to a jet to hit just that right spot on your back, and forget about a neck massage –that requires submerging your head below the waterline! Are in ground hot tubs and portable hot tubs energy efficient? Portable hot tub filters and water care options are very advanced making hot tub water care easy, and owners can often care for their own tubs. Portable hot tubs are energy efficient and designed to run all the time. So, there’s no heat up period. They work with covers and cover lifters so they can maintain temperatures and stay cleaner. Many portable hot tubs are made of acrylic, which is easier to clean and not as abrasive as materials used in in-ground hot tubs like concrete, textured surfaces, tile, and fiberglass. In-ground hot tub surfaces can also be rough on the skin and on swimsuits. Perhaps most important to consider is that in-ground hot tubs have to be heated prior to use, and don’t run all the time so are not as energy efficient, and cost more to run overall. Where in your yard do you want your hot tub located? 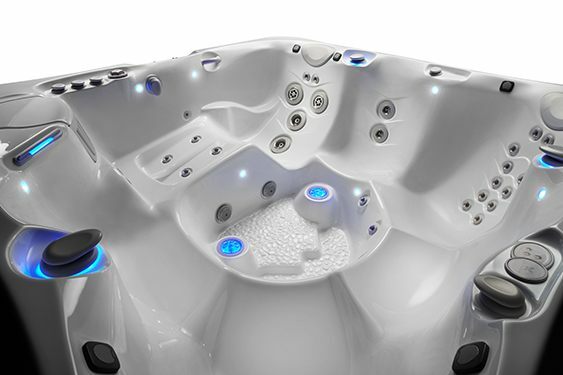 Do you want a hot tub that is always hot and ready to go, or are you OK with waiting for it to heat up? What do you need in terms of jets and massage? How important are features like lighting, water enhancements, and entertainment options to you? Are you willing to do some of your own spa maintenance and up-keep? Confused about the cost of a hot tub? Always keep budget in mind. 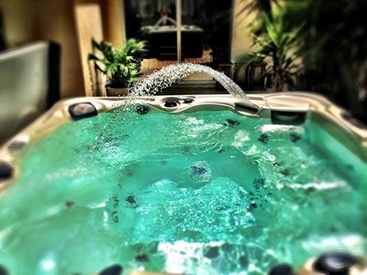 The price range of a premium spa is $5,000 to $16,000 suggested retail, while at up to 25K, in-ground hot tubs can be more than double the cost of the best premium portable spa. 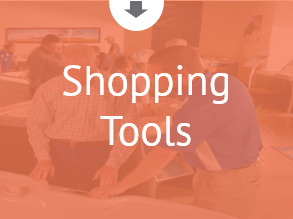 Consider all of the above when hot tub shopping, and talk to your local dealer about any questions or concerns. Consider all of the above when hot tub shopping, and talk to your local dealer about any questions or concerns. See if you can try out some different hot tubs, to see what works for you. You’re making an amazing investment into wellness, renewal and relaxation! 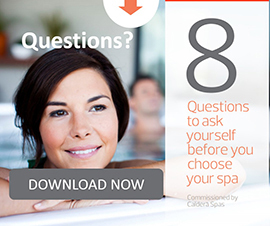 You can also see why so many buyers choose Caldera® Spas! Interested in hot tub pricing? 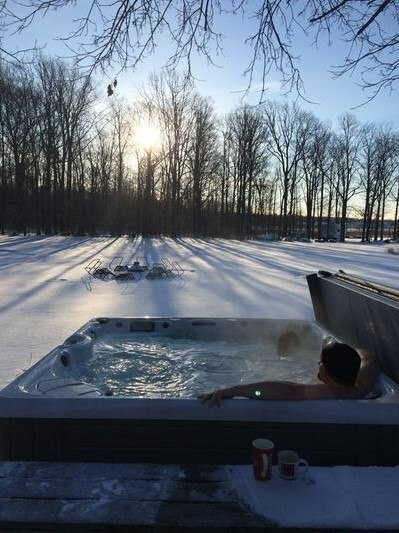 Ready to connect with a hot tub dealer? If you have any questions, let us know in the comments below, or contact Customer Care. Do I Really Need a Cover Lifter? Where Do I Begin to Design a Great Backyard with my Hot Tub?